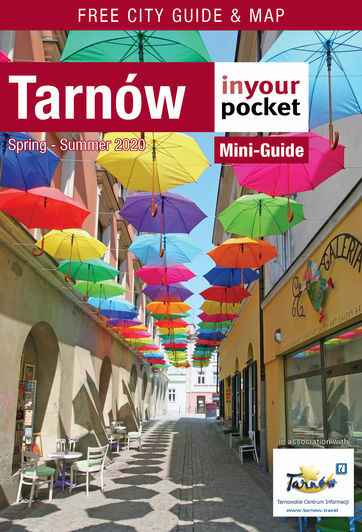 Tarnów offers plenty of leisure activities and this section is geared towards those looking to stay active while in town. If strolling the cobbled alleys of the Old Town isn't enough, the city also boasts the large Strzelecki Park practically right in its centre, which merits inclusion on any sightseeing checklist thanks to the Bem Mausoleum. If you have a more specific activity in mind, Tarnów's local sports and recreation organisation (TOSiR) is one of the best in Poland, and offers a range of public fields and facilities, including indoor and outdoor swimming pools, the water park, climbing wall and more. Tarnów also boasts a professional motorcycle speedway track, and visitors from April to October have the exciting opportunity to watch the local club compete against the country's best. Once that gets you revved up, you can head to one of the two excellent go-cart tracks in town to burn some adrenaline. Treatments for the face and body, including manicures, pedicures, anti-cellulite, laser hair removal, permanent makeup and more.